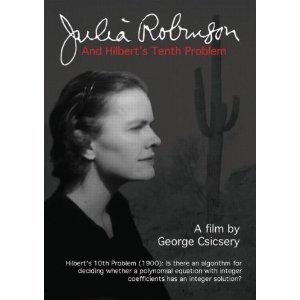 A one-hour biographical documentary, Julia Robinson and Hilbert's Tenth Problem tells the story of a pioneer among American women in mathematics. 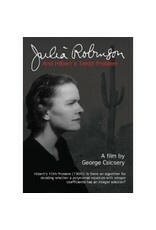 Julia Robinson was the first woman elected to the mathematical section of the National Academy of Sciences, and the first woman to become president of the American Mathematical Society. Her work, and the exciting story of the path that led to the solution of Hilbert's tenth problem in 1970, produced an unusual friendship between Russian and American colleagues at the height of the cold war.